Both the physioterapist and the orthopedic that I consulted for the tendinitis are also runners and they both told me that only with orthotics I can at least reduce the load on the tendons. with my bow legs, even if my running style is not bad, the load from the body weight is not transfered to the ground in straight line, but generates a huge lateral force that puts a lot of effort on the achilles. 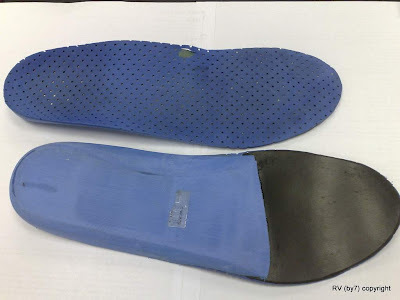 So the shoe must be fitted with orthotics that could absorb somehow this lateral force. It all makes sense and I know it very well... my chassis is of very poor quality and not really suited for heavy running. 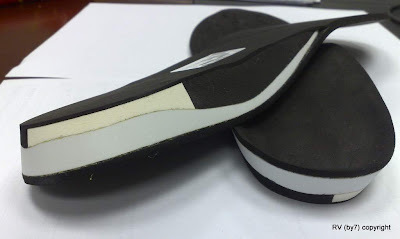 to do that, I also ordered a new pair of custom-made orthotics made in Canada by the company PARIS (the physio told me that is the best available on the Hong Kong market). Now I got them and I just need to wait for the healing of the achilles to see how they are.